Using Graphics Will Make Your Videos POP! Without snazzy graphics and amazing backgrounds, your videos could end up looking plain and boring. I used to make really boring videos, until I realized that I just needed to add some finishing touches to them. 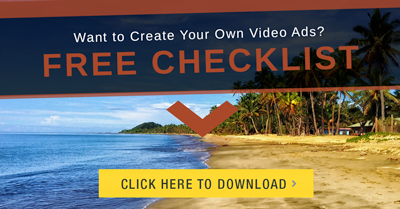 You see, most of the videos you see business owners create themselves are only as good as the artwork that they are able to create themselves or pay someone else to create. So if a business owner is also a graphic artist, that works out good for them (except that they have to spend more time away from running their business to create the graphics). And those business owners who pay someone else to make their graphics must either have a huge budget, or they have crappy graphics. This always troubled me. But I got smart and purchased a graphics bundle from Graphics Magic Box. They have just launched version 2 and I just bought that one, but I also bought version 1 when it came out. The thing about these graphics is that they are easily editable to do whatever you want with them. You have royalty free usage rights for these graphics. I only used the items that came with Graphics Magic Box V2 to create this and the part that took the longest was finding the proper picture for the background out of the many that are included. Now, I could use this within a video or on the page with a video. With some of the cool things you can now do with video players, adding an image callout like this would be a great way to get people to download your free report (and add their email address to your list). I had a lot of fun going through this package and I even decided to take advantage of the $1 trial for the Graphics Magic Box Membership, which gives you access to a ton more graphics and up to 5 more modules each month (they have plans to add new stuff for 10 years)! Now, I need to get busy creating videos!